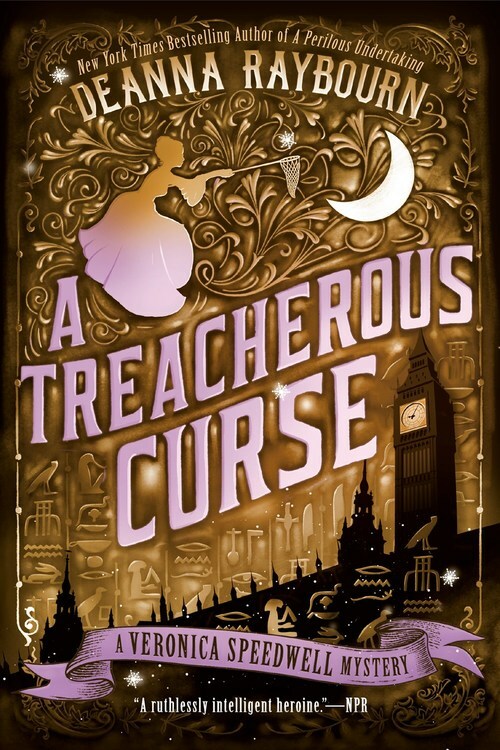 Members of an Egyptian expedition fall victim to an ancient mummy�s curse in this thrilling Veronica Speedwell novel from the New York Times bestselling author of the Lady Julia Grey mysteries. London, 1888. As colorful and unfettered as the butterflies she collects, Victorian adventuress Veronica Speedwell can�t resist the allure of an exotic mystery�particularly one involving her enigmatic colleague, Stoker. His former expedition partner has vanished from an archaeological dig with a priceless diadem unearthed from the newly discovered tomb of an Egyptian princess. This disappearance is just the latest in a string of unfortunate events that have plagued the controversial expedition, and rumors abound that the curse of the vengeful princess has been unleashed as the shadowy figure of Anubis himself stalks the streets of London. be glad to hear constructive criticism.